This photo shows the moments before the chopper took off on April 04, 2016. 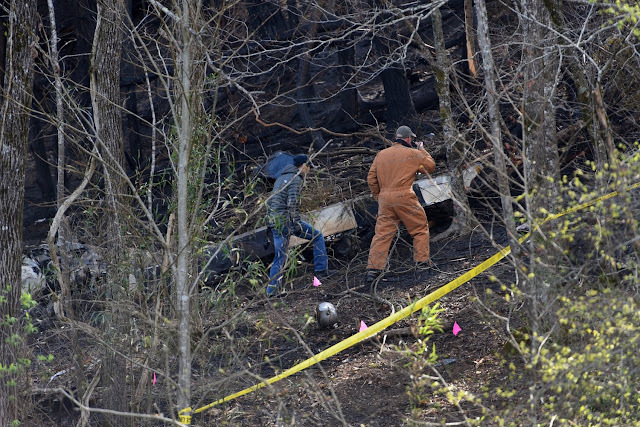 On April 4, 2016, about 1610 eastern daylight time, a Bell 206L, N16760, was destroyed when it impacted terrain while maneuvering following a loss of engine power in Pigeon Forge, Tennessee. The commercial pilot and four passengers were fatally injured. The helicopter was registered to a private individual and operated by Great Smoky Mountain Helicopters, Inc., doing business as Smoky Mountain Helicopters as a Title 14 Code of Federal Regulations (CFR) Part 91 local air tour flight. Visual meteorological conditions prevailed, and no flight plan had been filed for the flight that departed Sixty Six Heliport (6TN3), Sevierville, Tennessee, about 1600. According to the operator, the helicopter had been purchased in 1986 for air tour/sightseeing purposes. At the time of the accident, the operator owned two helicopters, a Bell 206B that was based in Cherokee, North Carolina, and the accident helicopter, which was based at 6TN3. A company pilot reported that he flew the helicopter on an estimated 10 local sightseeing flights on the morning of the accident. The accident pilot took over from him between 1300 and 1400 and completed 5 sightseeing flights in the helicopter before the accident flight. The company pilot reported that he checked the helicopter's fuel level before the departure of the accident flight, and the fuel level was "just below the 6-inch line," which corresponded to about 300 pounds of fuel. The pilot of another helicopter operating in the area about the time of the accident reported that he did not hear any distress calls. He further stated that he heard the accident pilot make a normal landmark position report over "wonderworks." A witness who lived near the accident site reported that he was outside when he observed the helicopter at a low altitude in a descent and that it "didn't sound right." He further described the sound as if "the engine was wound tight" and it "lost the rotor sound." He then heard the engine go silent, "as if the pilot cut the power," which was followed by sounds associated with impact. Another witness reported hearing the impact and seeing the accident site engulfed in fire. According to Federal Aviation Administration (FAA) airmen records, the pilot held commercial pilot and flight instructor certificates with ratings for rotorcraft-helicopter and instrument-helicopter. 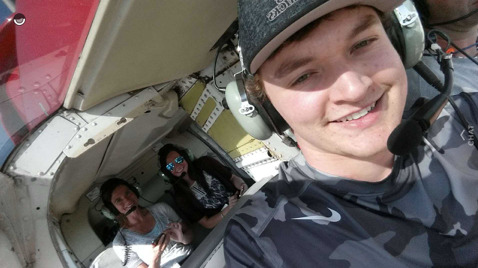 He reported a total flight experience of 550 hours, with 300 hours accumulated during the preceding 6 months on the application for his most recent FAA second-class medical certificate, which was issued on April 21, 2015. 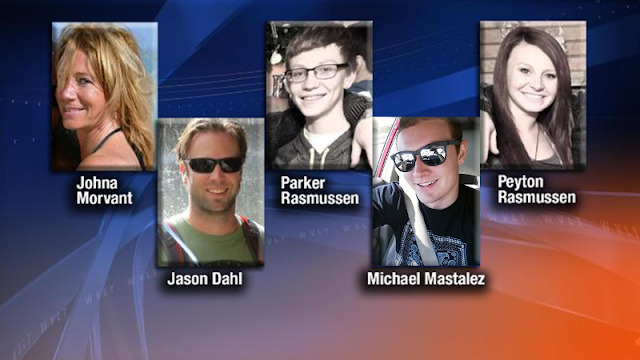 According to company records, the pilot was hired in April 2015. 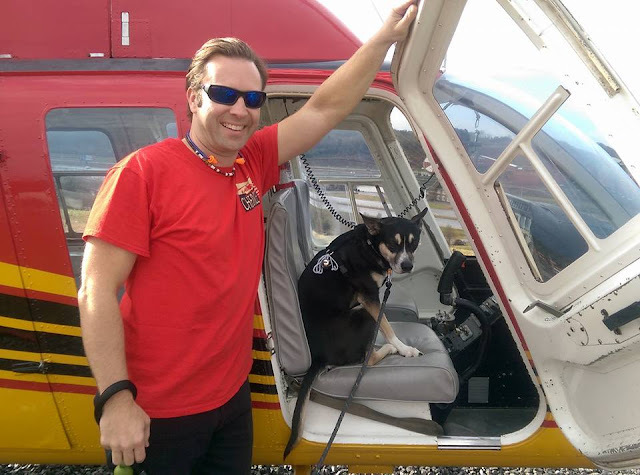 He satisfactorily completed a factory Bell Helicopter 206L pilot transition course on April 10, 2015 and received a logbook endorsement that noted satisfactory completion of a flight review in accordance with 14 CFR section 61.56 on that date. Review of the pilot's logbook revealed that, as of March 25, 2016, he had logged about 1,310 hours of total flight experience, which included about 875 hours in Bell 206-series helicopters. According to the operator's helicopter log, the pilot flew the accident helicopter on several occasions between March 25 and the accident flight; however, the flight time that was accumulated by the pilot during these flights could not be determined. The seven-seat helicopter was manufactured in 1977 and issued an FAA standard airworthiness certificate in the normal category on March 1, 1977. It was equipped with a two-blade main rotor system and a two-blade tail rotor system that were powered by a 420-horsepower Rolls-Royce (formerly Allison) 250-C20B turboshaft engine. Review of maintenance information revealed that, at the time of the accident, the helicopter had accumulated about 22,562 total hours, and the engine had accumulated about 8,550 total hours. The helicopter had been operated for about 40 hours since its most recent 100-hour and annual inspections, which were signed-off concurrently on March 4, 2016. According to engine records, the engine fuel pump, model number 386500-5, serial number T103542, was manufactured by the Power Accessories Division of TRW, Inc., later known as Argo-Tech Corporation and now a part of Eaton Corporation. The fuel pump was installed on the engine on June 23, 2009, at an engine total time of 7,472.0 flight hours. A maintenance record entry stated that, at the time of installation, the fuel pump had 0 flight hours since overhaul. Based on the engine total time at the time of the accident, the fuel pump had accumulated about 1,078 flight hours since its last overhaul. According to the Rolls-Royce M250-C20 series maintenance manual, the fuel pump had an overhaul interval of 4,000 hours. Before installation on the accident engine, the fuel pump was overhauled at International Governor Services (IGS) in Broomfield, Colorado. The IGS work order stated that the pump was overhauled in accordance with Argo-Tech Component Maintenance Manual (CMM) No. 73-10-10, revision 0, dated November 2000. Signed-off inspections in the work order included dimensional checks; fluorescent penetrant inspection of the filter housing, bypass filter housing, pump cover, and gear housing assembly; and magnetic particle inspection of the main drive shaft, drive gear, and driven gear. No anomalous findings were recorded in these inspections. 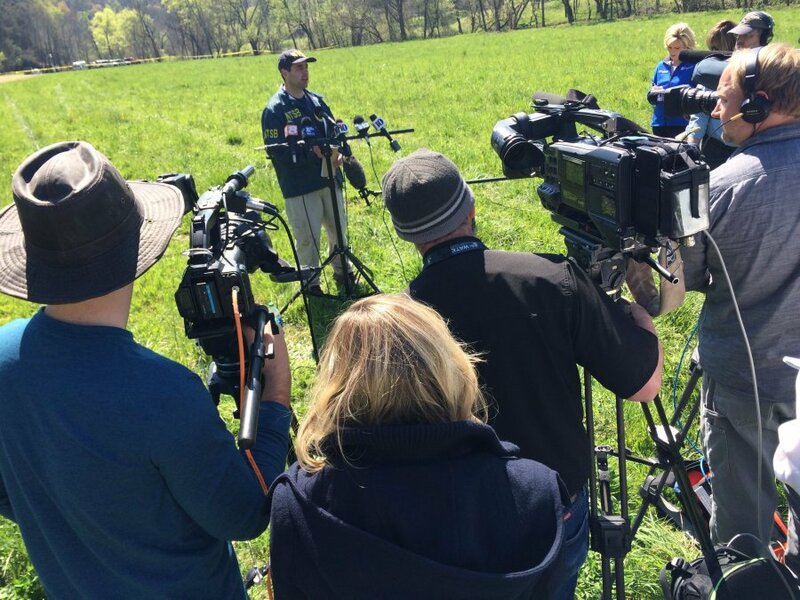 National Transportation Safety Board investigator in charge Luke Schiada addresses the media at the site of a helicopter crash that killed five people. The 1615 weather observation at Gatlinburg-Pigeon Forge Airport (GKT), Sevierville, Tennessee, located about 3 nautical miles northeast of the accident site, reported wind from 220° at 10 knots, 10 statute miles visibility, clear skies, temperature 24°C, dew point 2°C, and an altimeter setting of 29.93 inches of mercury. The helicopter impacted trees near the top of a ridge that was about 1,100 ft mean sea level (msl). The main wreckage was found on its left side on a heading of about 340° magnetic in a wooded area near the bottom of a ridge. An initial tree strike was identified about 405 ft south of the main wreckage on top of the ridge at an elevation of about 1,100 ft mean sea level. Pieces of Plexiglas and the front-left piece of skid tube were found in the immediate vicinity of the initial tree strike. 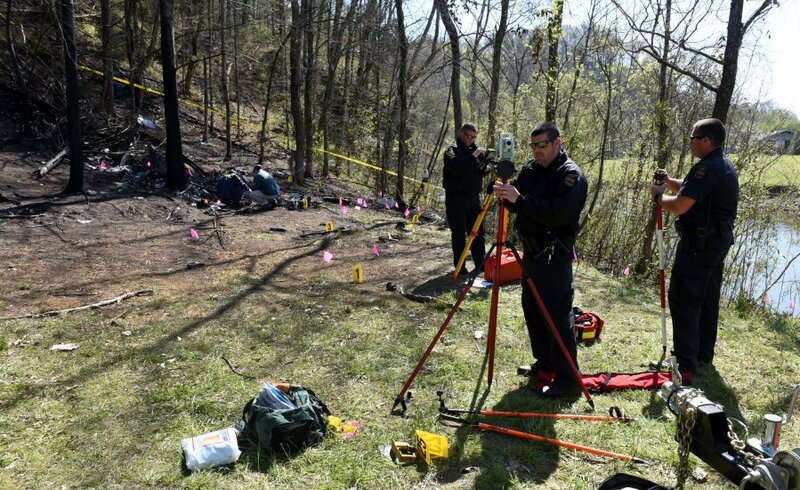 The primary debris path began at the top of the ridge and extended down to the main wreckage at the bottom of the ridge. The main wreckage was mostly consumed by a postcrash fire, and the entire area surrounding the main wreckage was charred. 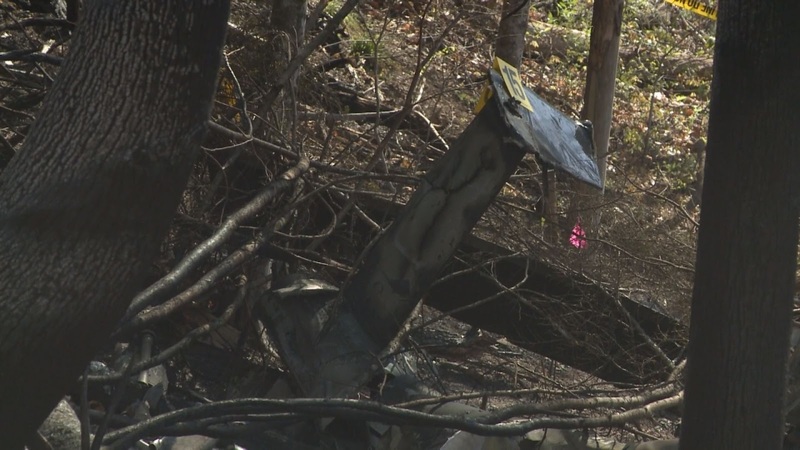 All major structural components of the helicopter were located at the accident site. The upper portion of the main fuselage with the engine and main transmission still attached was resting on its left side and exhibited crush damage. The midsection of the tail boom, including the horizontal stabilizer, was found separated but immediately aft of the main wreckage. The left horizontal stabilizer was fractured about mid-span. The outboard portion of the left horizontal stabilizer and the vertical fin were found at the top of the ridge, about 110 ft south of the main wreckage. The cockpit instruments were observed ahead of the main fuselage along the debris path. The instruments exhibited thermal distress. The caution and warning panel (CWP) was observed behind the main fuselage along the debris path, and it also exhibited thermal distress. Subsequent X-ray examination of the CWP was conducted at the NTSB Materials Laboratory in Washington, DC, to assess the condition of the individual light bulb filaments. The examination found that several of the bulb globes were melted due to thermal exposure; all of the lights had filaments present; and all of the filaments were visible in the X-ray. Several of the filaments were broken, but none of the bulbs demonstrated hot coil filament stretching. These findings were consistent with none of the lights being illuminated at impact. 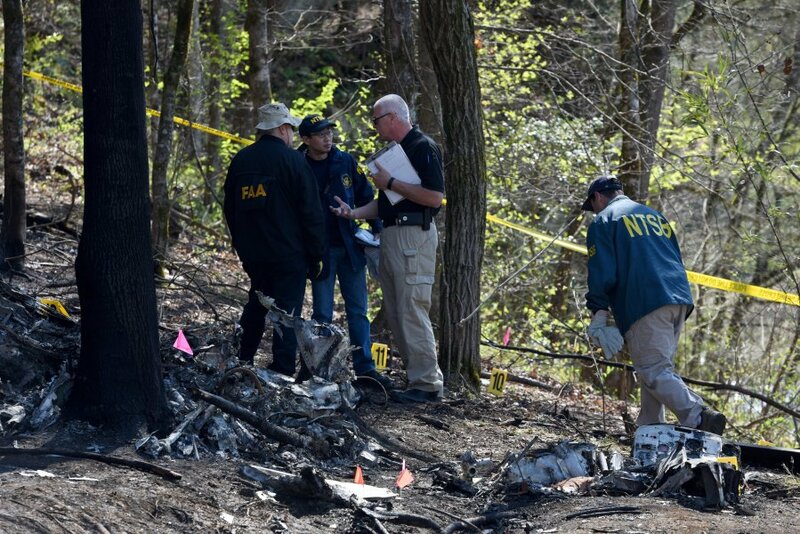 One main rotor blade was found near the main fuselage and remained attached to the main rotor hub. The root end of the second main rotor blade remained attached to the main rotor hub and was partially embedded into the ground. The remainder of the second blade was found forward of the main fuselage in the debris path. The tips of both main rotor blades exhibited fractures. 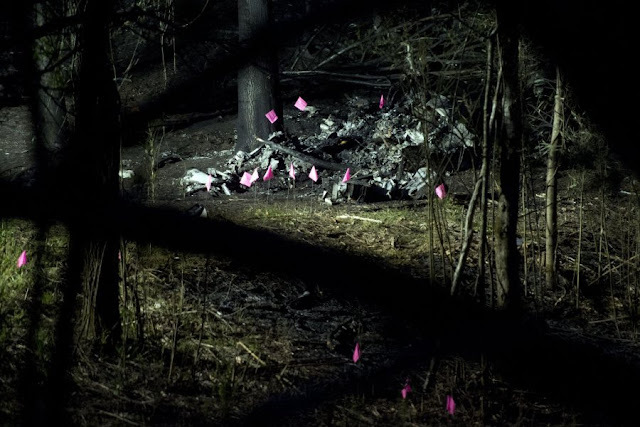 Pieces of the fractured blade tip from the second main rotor blade were found behind the ridge, about 330 ft south-southeast of the main wreckage and near the location of the initial tree strike. The leading edges of both blades did not exhibit evidence consistent with impact damage with high rotational energy. Manual rotation of the main rotor blades in the direction opposite of normal rotation resulted in the rotation of the main rotor shaft, the engine-to-main transmission drive shaft, the engine's No. 4 turbine wheel, and the tail rotor drive output shaft. Freewheeling functionality was confirmed by manual rotation of the main rotor blades in the direction of normal rotation, which resulted in no rotation of the engine's No. 4 turbine wheel. The flexible couplings between the drive shaft flanges were intact and did not display evidence of fractures or deformation consistent with power at impact. The tail rotor gearbox remained mounted to a section of tail boom that was separated and located about 40 ft southeast of the main wreckage. Manual rotation of the tail rotor blades resulted in rotation of the gearbox input. The splines at the tail rotor gearbox did not exhibit evidence of fractures or smearing. Subsequent removal of the chip detectors from the main transmission and tail rotor gearbox revealed no evidence of large ferrous particles. Both main rotor pitch links were fractured about mid-length, and both ends of each link remained attached to the corresponding blade pitch horn and the rotating swashplate; the fractures exhibited signatures consistent with overload. The rotating and stationary swashplates remained installed on the main rotor shaft. The idler lever assembly remained attached to the rotating swashplate and the main rotor shaft. The collective lever assembly remained attached to the swashplate sleeve assembly and the main rotor control support assembly (mounted on top of the main transmission housing). Control linkages remained attached between the control mixing unit and both the stationary swashplate and the collective lever. Control linkages from the control mixing unit to the hydraulic actuators were fractured and thermally distressed but remained connected at their clevis ends. The three hydraulic actuators (left cyclic, right cyclic, and collective) were found mounted to the airframe, but their aft mounts were fractured. The hydraulic actuators and their airframe mounts exhibited evidence of heat distress. Hydraulic lines remained connected to the three hydraulic actuators but were broken in multiple areas. The hydraulic pump remained mounted to the main transmission. The collective control stick and the collective jackshaft were found loose within the wreckage near the main fuselage and exhibited thermal distress. The cyclic stick was not recovered at the accident site. The base of the cyclic (into which the cyclic stick is installed) was observed loose within the wreckage and exhibited thermal distress. Due to impact damage and the extensive postcrash fire, the helicopter's seats and restraint system could not be evaluated. The engine remained installed on the airframe. The left side of the engine casing and the left exhaust port exhibited crush damage. The first stage compressor did not exhibit evidence of hard or soft body impact damage but exhibited evidence of sooting. No evidence of scoring was observed between the first stage compressor blades and blade track. The 4th stage turbine wheel was visible through the exhaust port, and its blades did not exhibit visible impact damage. The gas producer fuel control remained installed on the engine accessory gearbox, and the indicator was observed to be in the 0° ("cut off") position. The power turbine governor and engine fuel pump remained installed on the engine accessory gearbox. Subsequent disassembly of the core engine, which was comprised of the compressor section, combustion section, turbine section, and an accessory gearbox, did not reveal any anomalous damage that would have precluded normal engine operation. The engine fuel pump was removed from the engine accessory gearbox and disassembled. 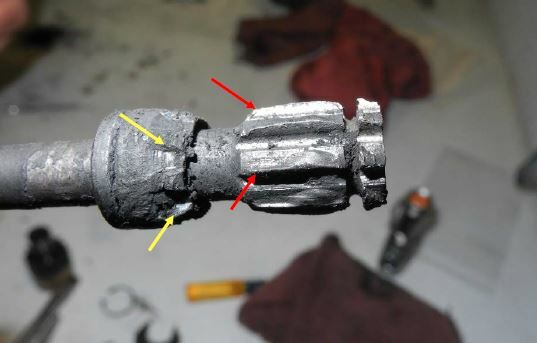 Removal of the drive shaft revealed that its small splines, which are normally mated to the internal splines of the fuel pump drive gear, exhibited evidence of severe damage, with significant portions of the spline teeth missing material. The drive shaft spacer exhibited thermal distress and indentations consistent with contact with the internal splines of the drive gear (see Figure 1). Figure 1. Anomalous spline damage observed on the small splines of the drive shaft (red arrows) and indentations observed on the drive shaft spacer (yellow arrows). Remnant pieces consistent with the retaining clip, which is normally installed on the spline relief on the drive shaft small splines, were not observed during disassembly but were later identified via photographs taken during the examination (see Figure 2). Figure 2. Remnant pieces consistent with the retaining clip (red arrow). 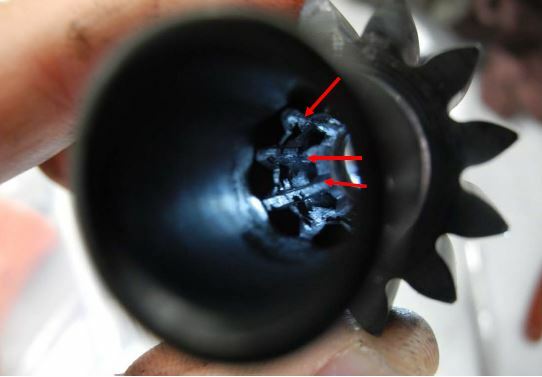 The internal splines of the drive gear also exhibited evidence of severe damage, with significant portions of the spline teeth missing material (see Figure 3). Figure 3. Anomalous spline damage observed on the internal splines (red arrows). Further examination of the disassembled fuel pump components was performed at the NTSB Materials Laboratory, Washington, DC. The hardness and material composition of the drive shaft and drive gear met required specifications. Remnant material on the drive shaft and drive gear splines were similar to mineral-oil-based/soap-thickened lubricants. The illustrated parts list for the fuel pump found in the CMM allowed for 11 different drive shaft spacers of different sizing. According to the CMM, measurements taken during assembly of the drive shaft to the pump assembly are used to select proper drive shaft spacer thickness. The drive shaft spacer installed on the accident fuel pump drive shaft was consistent with a P/N 215981-8 spacer, about 0.240 inches thick (see Figure 4). According to the original build record from the manufacture of the fuel pump, dated September 1985, a spacer with a thickness of 0.120 inches was originally installed. Records of fuel pump overhaul preceding the last overhaul were not available, and it could not be determined whether other spacer sizes were used throughout the operational history of the accident fuel pump. In addition, it could not be determined whether the drive shaft, drive gear, and driven gear were original to the fuel pump or, if previously replaced, when the replacement occurred. Figure 4. The drive shaft spacer installed on the drive shaft (red bracket). The helicopter was not equipped nor was it required to be equipped with any crash-resistant data or image recorders. Toxicological testing performed by the FAA Bioaeronautical Science Research Laboratory, Oklahoma City, Oklahoma, on specimens obtained from the pilot were negative for all tested drugs. A discussion with IGS personnel about their overall experiences with overhaul of the fuel pump revealed that they had seen wear similar to the accident fuel pump drive shaft spline wear but not to the severity of the wear observed on the drive shaft from the accident fuel pump. 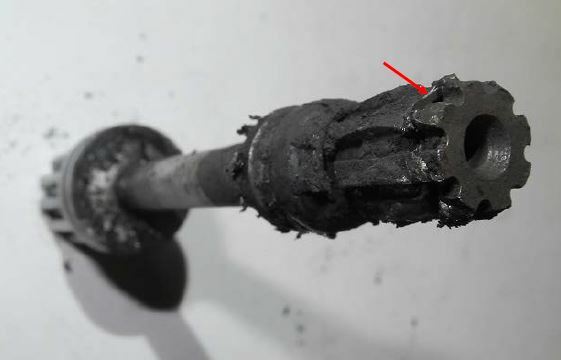 An IGS mechanic who specialized in overhauling fuel pumps similar to the one on the accident helicopter stated that he had seen drive shaft spline wear "about 4 or 5 times" since 2008, and a lack of lubricant or corrosion was associated with the spline wear. Additionally, the IGS mechanic stated he had only observed wear on the smaller splines of the drive shaft and had not observed wear on the larger splines of the drive shaft (the splines that mate to the engine accessory gearbox drive gear). According to IGS, fuel pumps that are submitted for overhaul are visually examined for evidence of spline or gear tooth wear; if wear is observed, the part is rejected. On October 3, 1994, the FAA introduced improved fuel system crash resistance standards for normal category helicopters via Amendment 27-30 to Part 27 of the Federal Aviation Regulations. The standards for fuel system crash resistance, 14 CFR 27.952, are intended to minimize fuel spillage near ignition sources in order to increase the evacuation time available for crew and passengers to escape a postcrash fire. The improved crash resistance standards were not retroactively applicable to either existing helicopters or newly manufactured helicopters whose certification basis and approval predated the effectivity of Amendment 27-30. The Bell 206L model was type certificated in September 1975 under type certificate data sheet No. H2SW. The accident helicopter was not manufactured, nor was it required to be manufactured, with a fuel system meeting the provisions of 14 CFR 27.952. According to Bell Helicopter, the 206L helicopter was originally equipped with a thin-wall bladder-type fuel cell. These original fuel bladders were not nor were they required to be drop-tested. Additionally, although frangible structural interfaces were used at major interfaces, such as the filler cap adapter, the vent and fuel feed lines were rigid tubes. In March 1994, Bell Helicopter released Service Instruction No. BHT-206-SI-2043 to improve the crash resistance of the original fuel system for 206L and 206L-1 helicopters via incorporation of a retrofit kit. While this retrofit kit was not certified to the provisions of 14 CFR 27.952, it introduced fuel bladders with a higher puncture resistance than the original fuel bladders, replacement of rigid interconnect tubes with stainless steel braided hoses, and frangible structural attachments to the fuel bladders. Additionally, the improved fuel bladders were drop-tested at 80% capacity from a height of 50 ft. According to Bell Helicopter, the retrofit kit has been available since 1994, but they did not have a record of selling one of these retrofit kits. A review of the helicopter's maintenance history revealed no record of modifications to the original fuel system to improve its crash resistance. According to the FAA Rotorcraft Flying Handbook, "…an autorotation is a descending maneuver where the engine is disengaged from the main rotor system and the rotor blades are driven solely by the upward flow of air through the rotor. In other words, the engine is no longer supplying power to the main rotor. The most common reason for an autorotation is an engine failure…At the instant of engine failure, the main rotor blades are producing lift and thrust from their angle of attack and velocity. By immediately lowering collective pitch, which must be done in case of an engine failure, lift and drag are reduced, and the helicopter begins an immediate descent, thus producing an upward flow of air through the rotor system…"
The Bell 206L rotorcraft flight manual states that in the event of an engine failure in flight, an autorotation should be performed by adjusting collective pitch control to maintain a main rotor speed of 90-107% rpm and cyclic control to obtain the desired autorotative airspeed for the condition (with a stated "normal autorotation airspeed" of 70 mph or 61 knots). 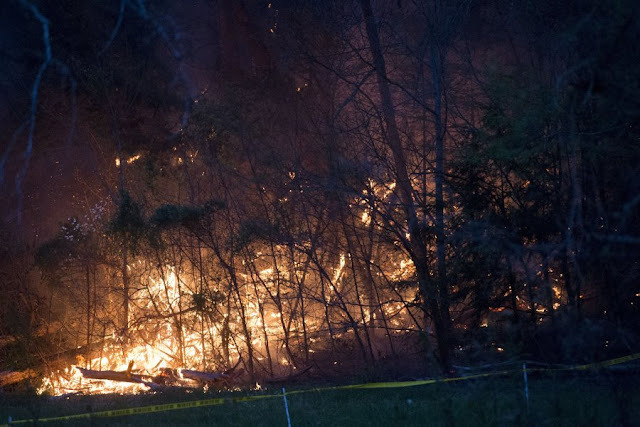 On April 4, 2016, about 1610 eastern daylight time, a Bell 206L, N16760, was destroyed when it impacted terrain while maneuvering in Pigeon Forge, Tennessee. 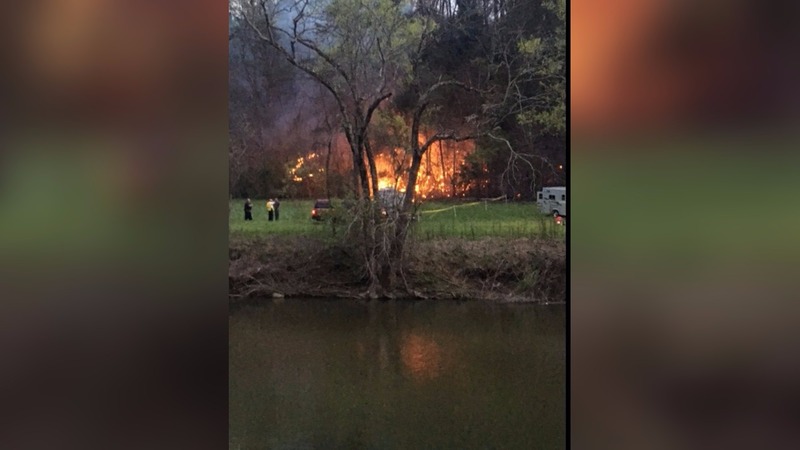 The helicopter was operated by Great Smoky Mountain Helicopters, Inc., doing business as, Smoky Mountain Helicopters. The commercial pilot and four passengers were fatally injured. Visual meteorological conditions prevailed and no flight plan had been filed for the flight that departed Sixty Six Heliport (6TN3), Sevierville, Tennessee. The local air tour flight was conducted under the provisions of Title 14 Code of Federal Regulations Part 91. According to the operator, the helicopter had been purchased in 1986 for air tour/sight-seeing purposes. At the time of the accident, the operator owned two helicopters, a Bell 206B that was based in Cherokee, North Carolina, and the accident helicopter, which was based at 6TN3. A company pilot reported that he flew the helicopter an estimated 10 flights on the morning of the accident, and before the accident pilot began flying sometime between 1300 and 1400. The accident pilot performed 4 flights in the helicopter and then shut it down while waiting for additional customers. The accident pilot subsequently restarted the helicopter, and completed a 4 minute flight before departing on the accident flight, which was scheduled to last between 7 and 8 minutes. He further stated that a check of the fuel level prior to departure revealed it was "just below the 6-inch line," which he estimated corresponded to about 300 pounds of fuel on board. Another helicopter tour company pilot operating in the area about the time of the accident reported that he did not hear any distress calls. He further stated that he recalled the accident pilot made a normal landmark position report over "wonderworks." A witness who lived near the accident site reported that he was outside when he observed the helicopter flying low in a descent, and it "didn't sound right." He further described the sound as if "the engine was wound tight" and it "lost the rotor sound." He then heard the engine go silent, "as if the pilot cut the power," which was followed by sounds associated with impact. Another witness reported hearing the impact and observed the accident site engulfed in fire. The helicopter initially impacted trees near the top of a ridge that was about 1,100 feet mean sea level (msl). The helicopter came to rest in a wooded area near the bottom of the ridge, on its left side, on a heading of about 340 degrees magnetic. Two large, freshly broken trees were located about 100 feet south of the main wreckage, which was mostly consumed by a postcrash fire. In addition, the entire area surrounding the main wreckage was charred. 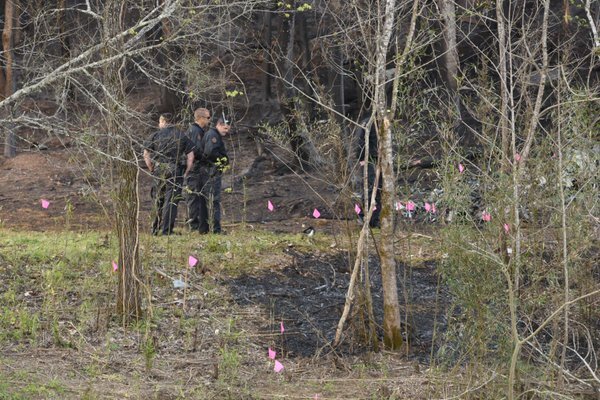 All major structural components of the helicopter were located at the accident site. One of the two main rotor blades was separated, and located about 20 feet northwest of the main wreckage. The leading edges of both main rotor blades did not exhibit significant impact damage. Manual rotation of the main rotor blade that remained attached to the main rotor hub resulted in rotation of the main rotor mast, the engine-to-transmission drive shaft, the engine's No. 4 turbine wheel, the tail rotor drive output, and confirmed free-wheel functionality. The tail rotor drive shaft was fractured in multiple locations. The flexible couplings between the drive shaft flanges were intact and did not display evidence of fractures or deformation consistent with power at impact. The tail rotor gearbox was separated from the tail boom and located about 30 feet southeast of the main wreckage. Manual rotation of the tail rotor blades resulted in rotation of the gearbox input. The splines at the tail rotor gearbox did not exhibit evidence of fractures or smearing. All three flight control servo control linkages were fractured at multiple locations; however, the linkages remained attached to their respective input and output ends. There was no evidence of damage to the engine's first stage compressor section, or fourth stage turbine wheel. 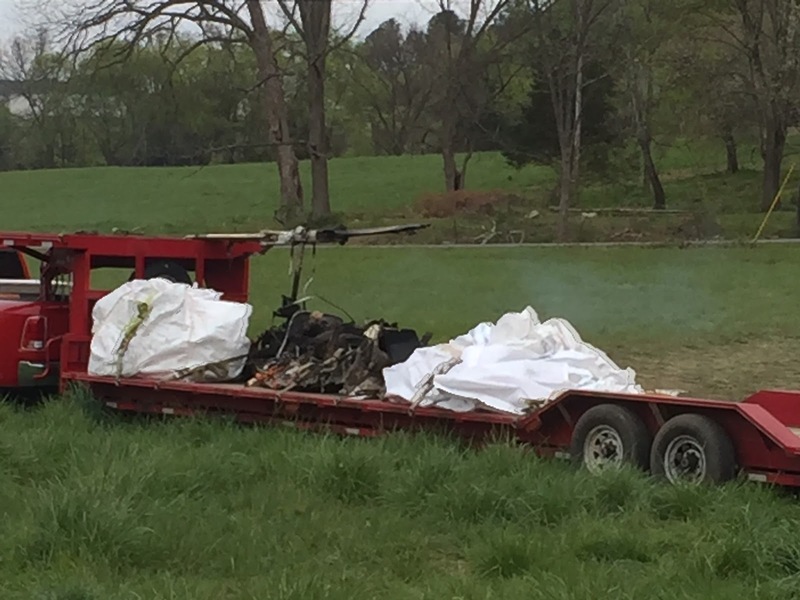 The engine and airframe were recovered from the accident site and retained for further examination. Initial review of maintenance records revealed that at the time of the accident, the helicopter had been operated for about 40 hours since its most recent 100 hour and annual inspections, which were performed on March 4, 2016. 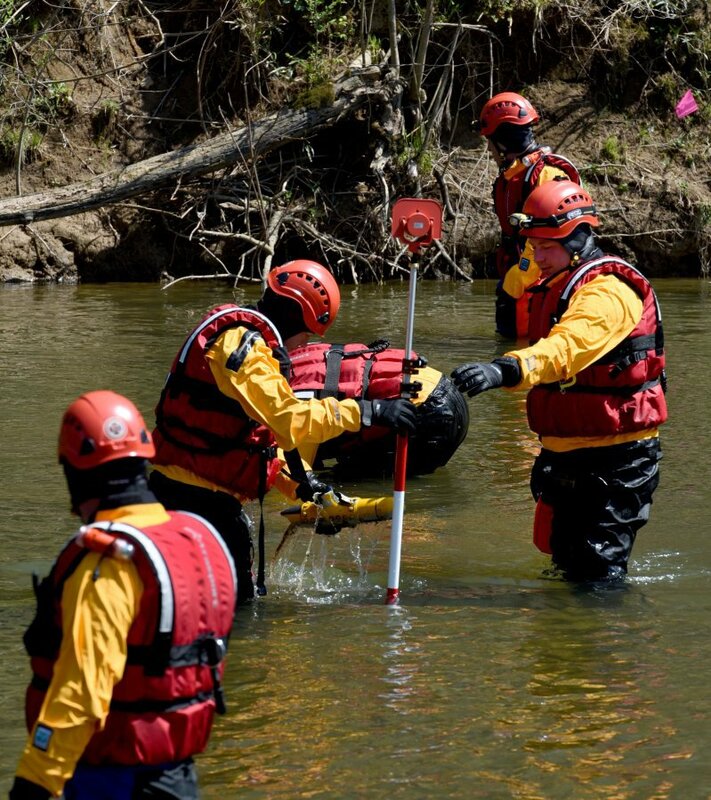 In addition, the helicopter had been operated for about 22,560 total hours. 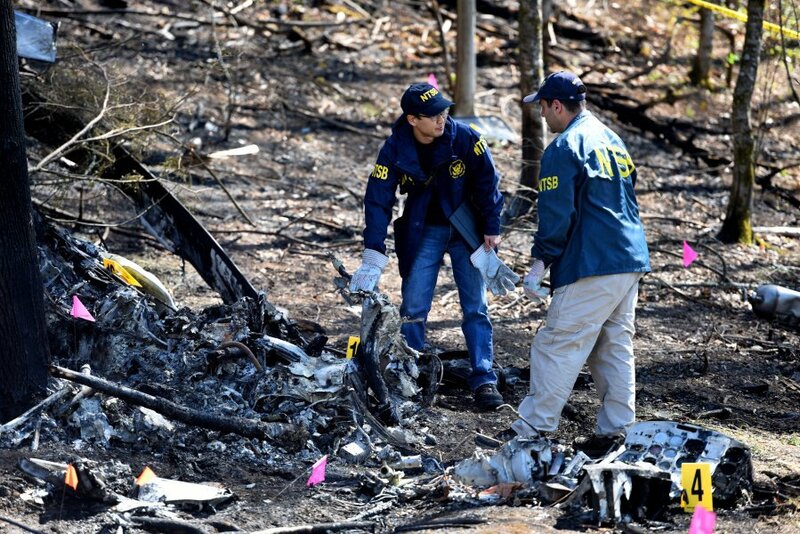 The pilot reported 550 hours of total flight experience on his most recent application for a Federal Aviation Administration second-class medical certificate, which was issued on April 21, 2015. According to an initial review of the pilot's logbook, as of March 25, 2016, he had logged about 1,300 hours of total flight experience, which included about 870 hours in Bell 206 series helicopters. A weather observation taken at airport located about 3 miles northeast of the accident site, about the time of the accident, reported: winds from 220 degrees, at 10 knots, 10 statute miles visibility, clear skies, temperature 24 degrees Celsius (C), dew point 2 degrees C, and an altimeter setting of 29.93 inches of mercury.